With over 280,000 Christian churches, ChurchFinder.com is the largest online Christian church directory in the United States. But if you are looking for a new church, you only care about finding ONE - the one church that's right for you! At ChurchFinder.com, we believe that being a part of part of a local church is part of God's plan for you, and the decision of which church to join is one of the most important decisions of your life. Our mission is to connect people with local Christian churches, and we believe that God has a church for you! 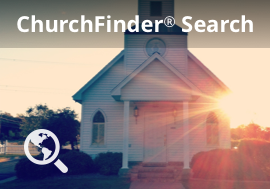 Whether you are looking for a church or you are a pastor wanting to update your church information in the Church Directory get started with ChurchFinder.com today!